Ken Poris recently received advanced level training, from the American Association of Premier DUI Attorneys, on how to use fatigue and drowsiness to fight DUI cases. Ken received training on the how drivers arrested and prosecuted for being under the influence of alcohol and/or CNS Depressants can easily be misdiagnosed and wrongfully arrested for DUI when they were simply fatigued or drowsy at the time of the incident. The information in this training was provided by Adam Pollack. Mr. Pollack is an AAPDA Executive Member of the Association. Mr. Pollack’s office is located in Orlando, FL and his website is http://orl-law.com/. 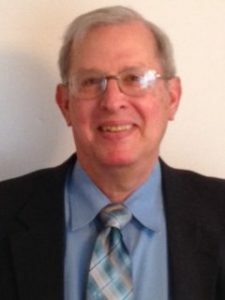 Ken has appeared and argued cases in the Illinois Circuit, Appellate, and Supreme Courts. Few Attorneys have appeared and argued cases in Supreme Court. Ken has twice appeared and argued cases before the Illinois Supreme Court. Ken is a member of the Illinois Bar Association and its Criminal Law, Family Law, and Real Estate sections. He is also a member in the DuPage County Bar Association (the 2nd largest county bar association in the state). Up to date and cutting edge legal knowledge is critical for your defense. Ken Poris stays current by attending ongoing state-wide legal education. He receives monthly bulletins and is regularly updated on breaking developments in the law. Prosecutor with an average ongoing case load of 60 active felony cases.